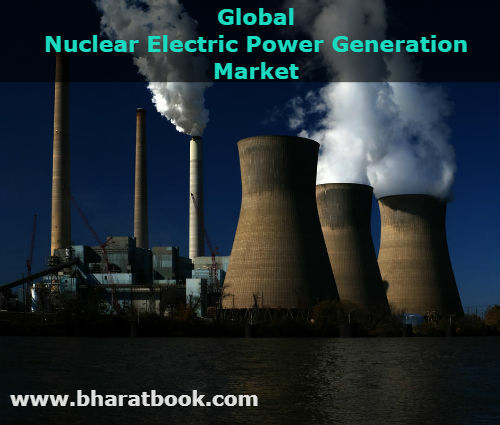 Bharat Book Bureau Provides the Trending Market Research Report on “Global Nuclear Electric Power Generation by Application, Size, System, and Region - Forecast to 2023 under Heavy Industry Category. The report offers a collection of superior market research, market analysis, competitive intelligence and Market reports. The nuclear electric power generation market reached a value of nearly REDACTED in 2018 and is expected to grow at a compound annual growth rate (CAGR) of REDACTED to nearly REDACTED by 2023. The nuclear electric power generation market is concentrated with a few large players dominating the market. Major players in the market are EDF Group, Exelon Corp., Duke Energy Corp., Enel SpA, NextEra Energy, Inc. and others. Pressurized Water Reactors (PWR) accounted for the largest share of the nuclear electric power generation market in 2018 at REDACTED. The highest growth is projected to come from PWR, which is forecasted to grow at a CAGR of REDACTED as they are comparatively safer than other reactors. North America is the largest nuclear electric power generation market, accounting for REDACTED of the global market. It was followed by Western Europe and Asia-Pacific region. Going forward, the Middle East is expected to witness the fastest growth in the nuclear electric power generation, estimated at grow at a CAGR of REDACTED, followed by Asia-Pacific which is expected to grow at a CAGR of REDACTED. The USA is the largest market in terms of value and in the nuclear electric power generation. China and India are forecasted to have the fastest growth, growing at a CAGR of REDACTED and REDACTED, respectively. The market is challenged by restraints such as rising trade protectionism and growing popularity of wind and solar electric power generation.